Presentation software is usually designed for users to deliver their information in an effective way. 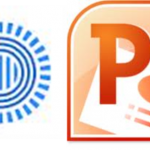 Two of the most popular software tools tailored to enable users to make vivid presentations are Microsoft PowerPoint and Prezi. Both are ideal for presentations where clarity of ideas is important because they allow presenters to use images and videos to communicate effectively to a large audience and elaborate their ideas clearly.